Audio streaming is the continous flow of digital data over a network to reproduce music where playback can occur as subsequent data is being received. Wireless networks are an option although wired networks are more robust with fewer limitations than wireless networks. Network based streaming systems can locally stream music from and to multiple devices on a network because networks can share resources. Downloaded music files can be stored on Network Attached Storage (NAS) drives that act as a music library. Playing downloaded music files on a hard wired network system offers the highest quality music playback. Networked systems are connected to the internet enabling access to high quality Internet streaming services. These services stream music in real time over the internet and offer a wide range of music for a monthly subscription and is the next highest level of music playback. As internet speeds and available bandwidth have increased, music streamed from these services is no longer restricted to lower than CD quality but can now exceed CD quality. However as the internet is not a guaranteed delivery service, a certain amount of lost data has to be acceptable to prevent stalling. Differently mastered versions of songs are created for vinyl, CD, MP3, FLAC and WAV files etc because these "containers" have different characteristics and capacity. Some popular music tracks are mastered with a high degree of compression which squeezes loud passages and quiet passage together so quieter sounds can be heard above high background noise environments such as cars or gyms. The high dynamic range available in high resolution audio is wasted on highly compressed tracks yet many of these versions are the ones available via streaming services. Vocals can be so intensely "loud" on these tracks they become unlistenable on revealing high end audio systems after a few minutes. So not all music streamed in high resolution sounds good. High resolution music files intended for downloading on the other hand, have a greater chance of being more neutrally mastered with much less compression and a larger dynamic range - but not in every case. USB (Universal Serial Bus) is a bus that acts as a common interface primarily to connect devices: disc drives, mouse, printers; to a PC. Conveniently they feature plug-and-play ability so drives can be connected without restarting a computer and they can also power devices with direct current. While multiple devices can get on the USB bus, it is not a node based mesh network and requires a single host to initiate all transactions. In the USB context then, "streaming" refers to a stream of sequential digital data, whereas on a node based network, data packets can arrive at different times out of sequence because some have taken a shorter/longer route than others. Accordingly USB communication protocols are different to those used in a Network. The quality of the USB connecting cable will also affect performance more so than an ethernet cable since data can be transmitted over an ethernet cable several hundred feet. High quality ethernet cables will, however, improve the sound when used with locally networked audio gear such as Melco. Since Chord Electronics teamed up with Apt X to improve the performance several years ago, most manufacturers take advantage of the superior transmission protocols and better hardware integration now available to offer good quality Bluetooth over a decent range. Bluetooth has the advantage of offering lower power consumption because the data is transmitted in bursts rather than continuously and simple pairing makes connecting easier than setting up a network connection. However while fine for 16 bit music it's lower bandwidth is less compatible with 24 bit high resolution audio. 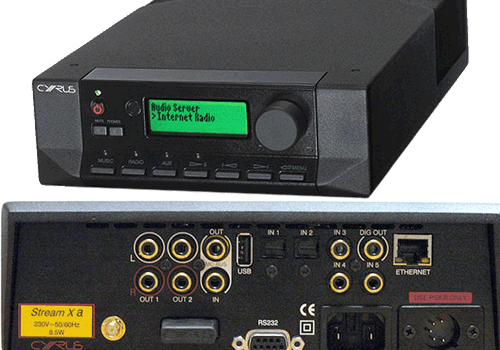 Easy to use wireless systems are superceding and disrupting the massively expensive custom installed wired distributed audio systems. Instead of spending thousands of dollars on one time project management, console programming, hundreads of feet of installed cables, high end audio companies are getting in on the act predominantly previously owned by Sonos. Now high resolution music can be played simultaneously in different rooms from apps installed on one or more tablets or phones. You can have a powerful larger speaker system in a main room and a smaller low power integrated amp and speakers in a bedroom. More rooms can easily be added and you can take the equipment with you if you move house. Digital music files offer more convenience over CD's; a computer does a great job of keeping your music organized so you can easily find what you want to listen to, and you can create your own play lists. In many ways play lists have superceded record albums in grouping tracks together and they are increasingly at the commercial heart of the music business. How do you get music off your CD into a storage device? 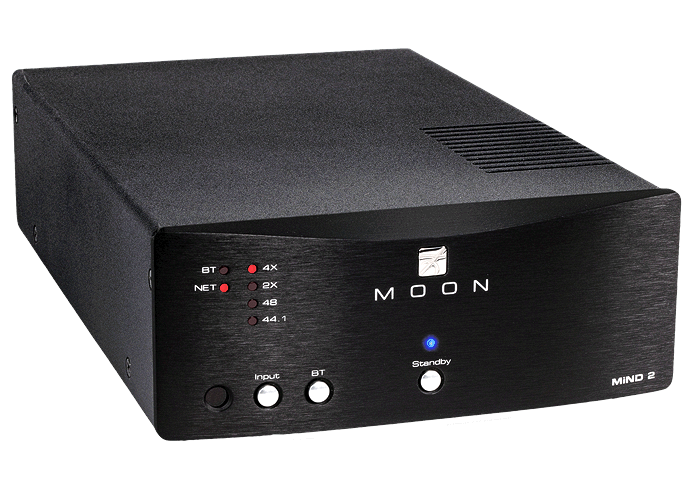 Easily with push one button solutions available from brands like Melco Audio. Are these systems easy to incorporate into an existing system? 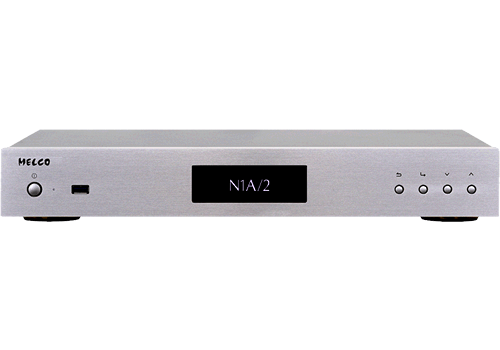 No more difficult than adding another component like a DAC or CD player. Isn't it expensive?. No. CD's can't get accidentally deleted but they can get misplaced and are vunerable to physical damage and aging. One price to be paid for the convenience of downloaded digital music files, however, is the responsibility of the user to maintain back-up copies. But Manufacturers have made this push button easy - so long as you get into the habit of pushing the button regularly! On the plus side, backing up means you can preserve the data indefinitely and there is no sound degradation over time. With real time streaming there is no need for back up and you don't own the music but on the downside, there is no music for your children to inherit. 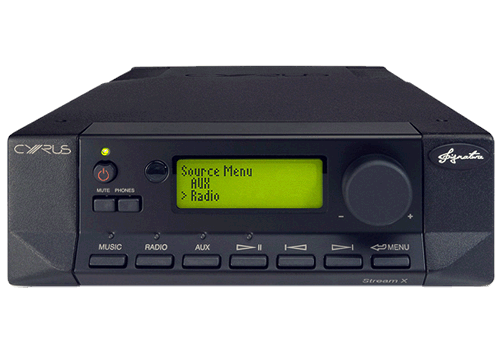 Almost all audio companies offer streaming and network audio products. 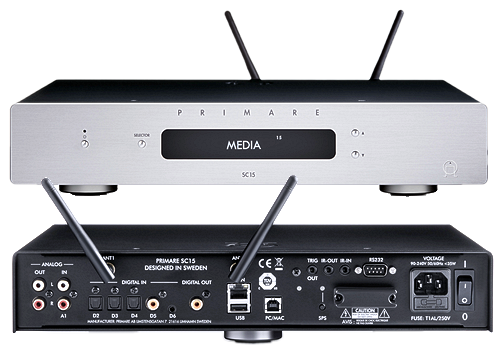 They vary in in how storage, streaming and DAC elements are distributed between products, compatibility with existing products, the on-line streaming services provided, frequency and ease of firmware updates, and robustness, capability and ease of use of controlling apps. kemela provides great support to get you up and running and build your confidence in being able to manage digital files. When things don't work, most of the time - but not always, operator error or bad cable connections are the source of the problem. With streaming products, having access to support should not be traded-off for a low price.